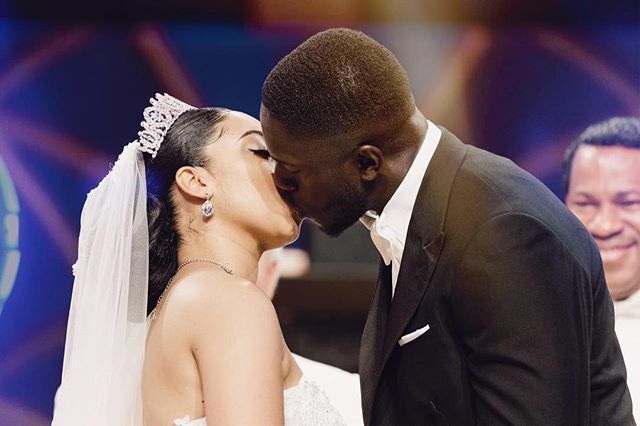 Husband Of Oyakhilome’s Daughter, Phillip Frimpong just blast a critic for criticizing his wife wedding dress. Well, 1) I am incredibly glad to say that my wife did not wear her wedding dress to impress you. 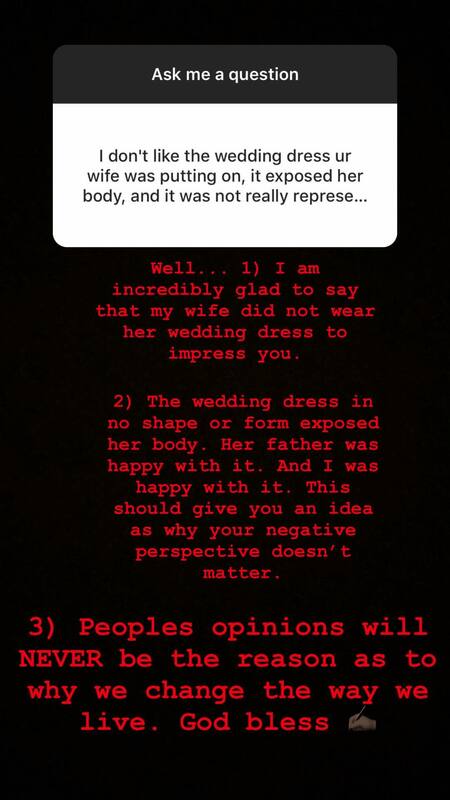 2) The wedding dress in no shape or form exposed her body. Her father was happy with it. And I was happy with it. This should give you an idea as why your negative perspective doesn’t matter. 3) Peoples opinions will NEVER be the reason as to why we change the way we live. God bless.